Ippei Yamazawa is one of the fathers to the study of Asia-Pacific regional cooperation in Japan and has contributed hugely to the development and work of APEC over many years. APEC is a crucial trans-regional arrangement that draws the United States into constructive economic engagement with East Asia. This book makes it clear why APEC remains such a crucial element of regional economic architecture and defines an agenda going forward to which regional leaders should aspire. Here is a first rate exposition of the priorities for regional cooperation in Asia and the Pacific.To purchase the book, click here. Spanning 20 years of history, the achievements of APEC may seem uneventful in the eyes of some observers. Yet careful deliberation will point to APEC's many remarkable high points as well as some of the challenges. The foundations of APEC were set in place about 40 years ago based on the achievements of the Association of Southeast Asian Nations (ASEAN) and the Pacific Economic Cooperation Council (PECC). One of the cornerstones of APEC's vision is to achieve a free and open trade area among its member economies. This vision is anchored in the Bogor Goals that remain the centrepiece of the APEC process. The Bogor Goals represent a cause for celebration as well as angst. Celebration because the region has moved towards achieving a much more liberalized environment of trading and investment since 1989, angst because the deadlines for achieving the goals have not yet been fully realized. Today, APEC embraces many of the world's dynamic developed and developing economies that are better poised to meet the new challenges of this century. For those seeking to get a quick sweep of APEC, this book recalls, reflects and provides enough food for thought on the possible remake of APEC. 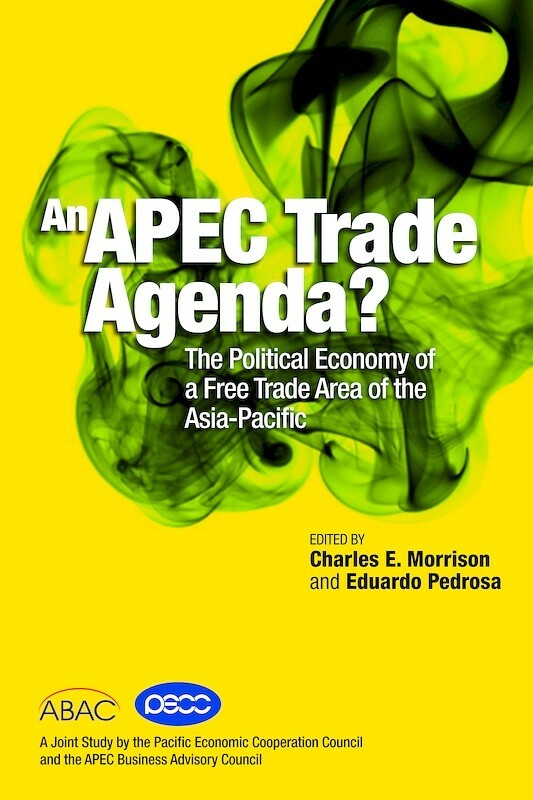 The chapters are carefully written by experts who have been directly involved in the APEC process one way or another. The invaluable insights serve to place the whole APEC process in a balanced perspective, yet with candid deliberations. To purchase the book, click here. The proposal for an Asia-Pacific-wide free trade agreement is one of the oldest ideas for promoting mutually beneficial regional cooperation dating back to the mid-1960s. In more recent times, the idea has found new support for two main reasons: as a plan B to the stumbling Doha Development Agenda (DDA) round of WTO negotiations; and as a solution to the noodle bowl of bilateral agreements in the region. This report assesses the political feasibility of the Free Trade Area of the Asia-Pacific (FTAAP) proposal and looks at alternative modalities for achieving free trade and investment in the Asia-Pacific. The report includes trade policy perspectives from the three largest economies of the region: the United States, China and Japan, lessons from similar proposals such as the Free Trade Area of the Americas (FTAA), possible convergence among the many preferential trade agreements (PTAs) in the region, and alternative approaches to regional economic integration.To purchase the book, click here. This conference report provides a unique overview of the development of local currency bond markets in the Asia-Pacific region and cross-border investment and issuance in these markets. 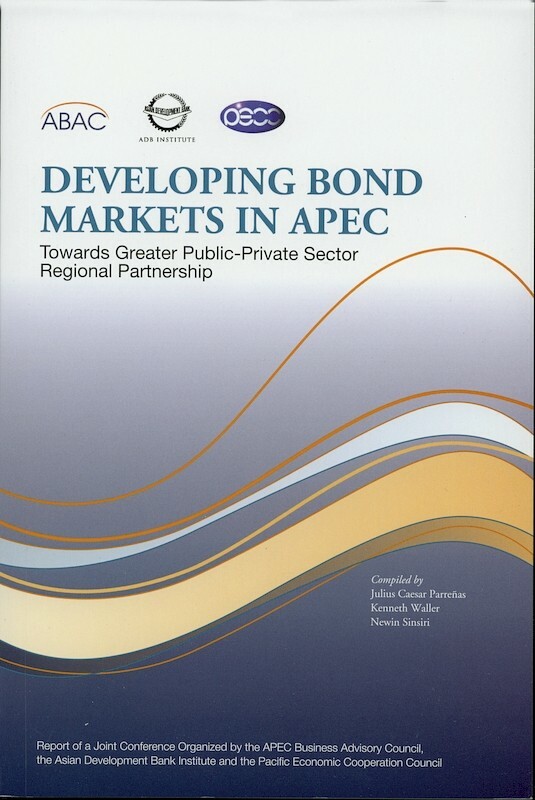 It brings together insights of the regions leading capital market regulators, private sector market players, finance and central bank officials and experts from academe and international development organizations, who have gathered together to assess the extent to which the regions bond markets have developed, and map out a regional strategy based on publicprivate sector partnership that promises to address key policy reform and capacity-building issues. This report concludes that a few emerging markets in the region have made significant advances, but many others need to undertake fundamental reforms to achieve adequate market depth and liquidity and develop an enabling regulatory framework. Successfully undertaking these reforms requires intensive regional cooperation to help address obstacles in individual economies and facilitate greater cross-border activity in the regions bond markets. Coordination is also needed to ensure the consistency of parallel initiatives being undertaken within various regional bodies, particularly APEC, ASEAN Plus Three and EMEAP, to develop a regional bond market. To purchase the book, click here. 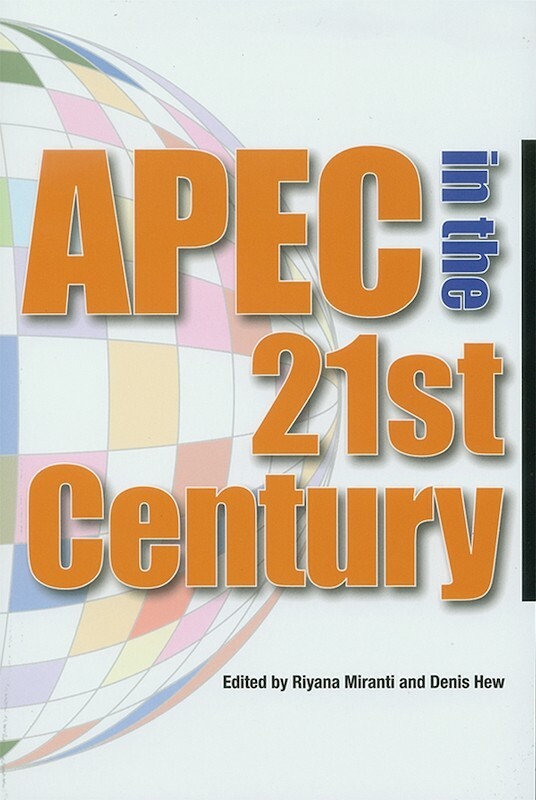 APEC is a unique organization that promotes economic cooperation in the Asia-Pacific region. It remains an informal intergovernmental organization that provides a useful platform for leaders, ministers, businessmen and experts to discuss regional issues on a regular basis. This book examines APECs accomplishments in recent years and the challenges it faces in the new century. These challenges include the proliferation of Free Trade Agreements in the region and the implications of Chinas accession in the World Trade Organization.To purchase the book, click here. 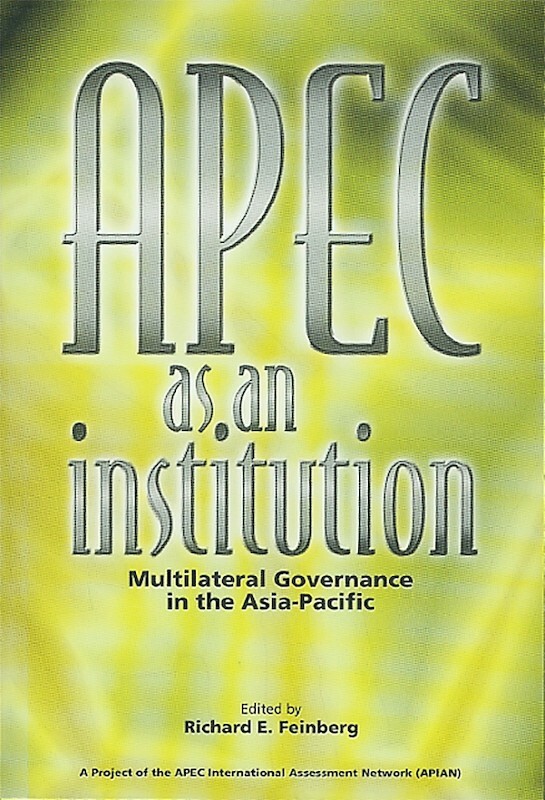 APEC is an experimental multilateralism, relying not on a large bureaucracy but rather upon national government agencies, semi-autonomous inter-governmental committees and "virtual" associations. Organized around the principles of consensus, voluntarism and unilateralism, APEC has eschewed binding agreements enforced through monitoring and robust compliance mechanisms. This volume assesses the strengths and weaknesses of APEC's "soft" institutionalism, and its capstone policy report, "Remaking APEC", identifies reforms that would close the credibility gap between APEC's promises and accomplishments. 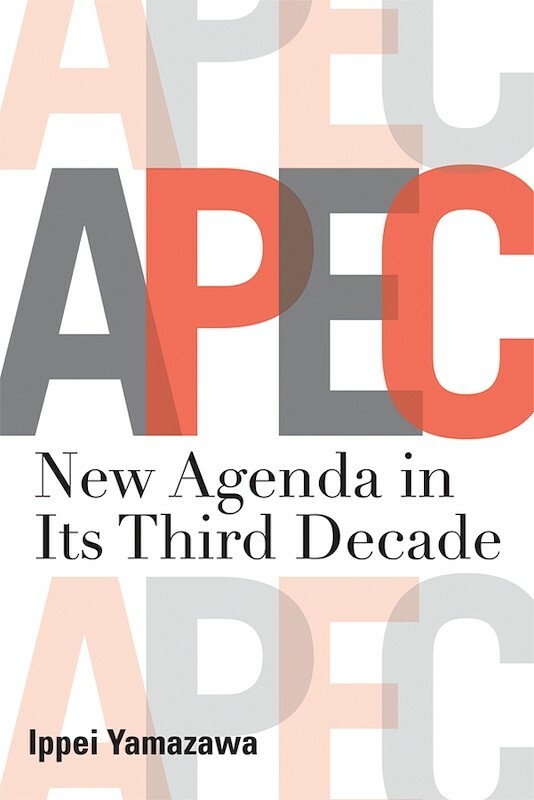 Chapters by leading scholars at APEC Study Centres investigate APEC's core agenda -- trade and investment liberalization and capacity-building -- delve into the inner workings of APEC's bureaucracy, and explore APEC's interactions with civil society, including the private sector and NGOs. This volume contains both the policy report and in-depth specialized studies. It is the product of the APEC International Assessment Network (APIAN), a collaborative, independent project among participating APEC Study Centres. 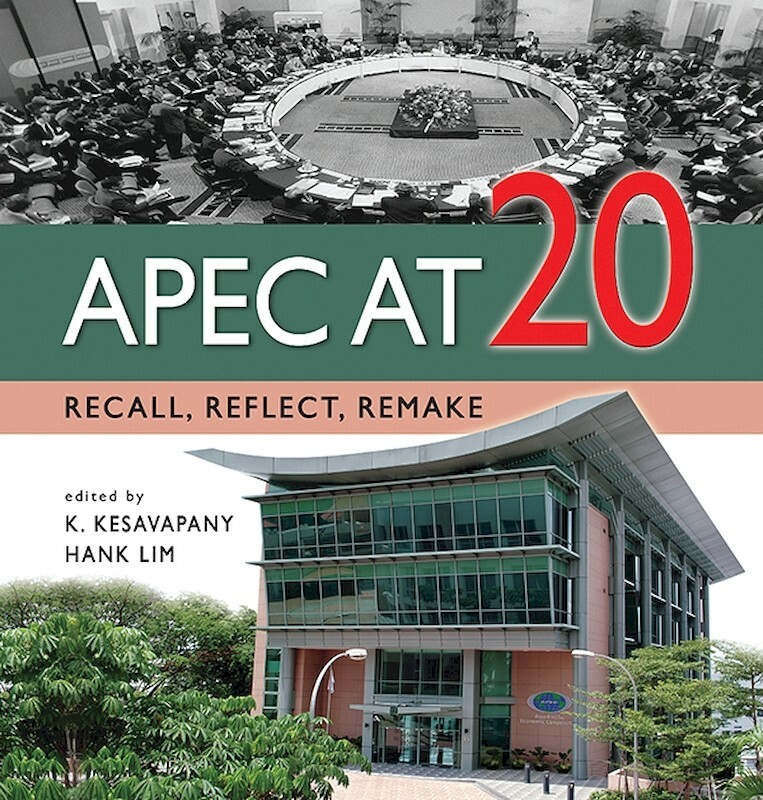 APIAN's first major study, Assessing APEC's Progress: Trade, Ecotech and Institutions was also published by ISEAS(2001).To purchase the book, click here.